Some of the biggest religious festivals in India take place during September as the festival season is in full swing. The colorful spectacle is captivating. Here's the best of what's on in September in India (listed in chronological order). The biggest festival of the year in Kerala, Onam is the homecoming of the mythical King Mahabali, thought to be the greatest king of the state, who lives in the underworld but returns to his kingdom once a year for 10 days during the harvest season. Events take place all over the state, from the celebrations at Vamanamoorthy Temple in Thrikkakara, where the festival originated, to fun boat races in Vallam Kali. The cultural festival is known for its colorful Pookalam flower carpets and performances of the traditional Kaikottikkali folk dance. The spectacular 11-day Ganesh Chaturthi festival honors the birth of the beloved Hindu elephant-headed god, Lord Ganesha. 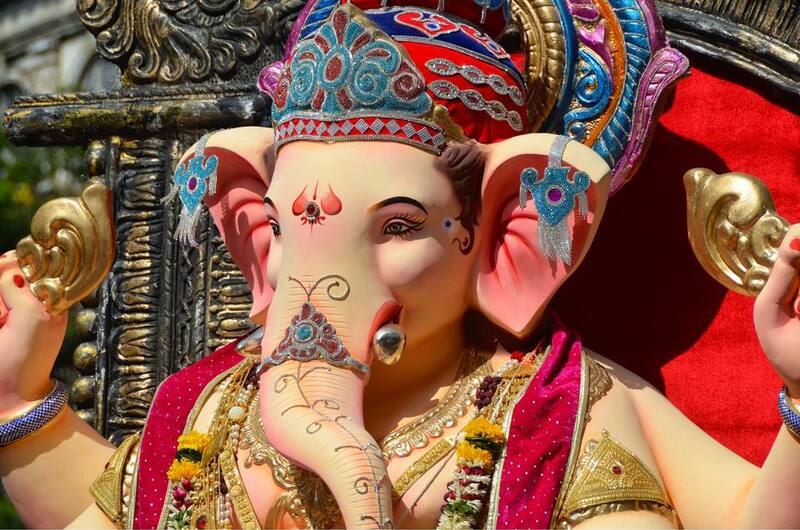 The start of the festival sees huge, elaborately crafted statutes of Ganesh installed in homes and podiums, which have been specially constructed and beautifully decorated. At the end of the festival, the statues are paraded through the streets, accompanied by much singing and dancing, and then submerged in the ocean. Where: Mostly in the states of Maharashtra, Goa, Tamil Nadu, Karnataka, and Andhra Pradesh. One of the best places to experience the festival is in the city of Mumbai. This 10-day classical music and dance festival is held during the Ganesh festival every year, in honor of the erstwhile king and musician Chakradhar Singh of Chhattisgarh's cultural capital. He wrote many books on music and dance, as well as developed a new form of Kathak dance. Talented artists from all over India come to perform at the festival. There's also a sound and light show. The Muharram festival is a Muslim festival that commemorates the martyrdom of Hazrat Imam Hussain, the grandson of the Holy Prophet. It takes place during the first month of the Islamic calendar. On the tenth and last day of the festival, known as Ashura, Sunni Muslims take taziyas (coffins of the dead, and in this case replicas of Imam Hussain’s shrine) out in procession during the evening. When: September 9-10 (Ashura), 2019. Where: Udaipur, Rajasthan. The procession ends at Lake Pichola (where the taziyas will be immersed) near the Mewar Haveli Hotel. The hotel's rooftop restaurant offers a great view. The world's oldest Ramlila, which reenacts the story of the Hindu epic the Ramayana, has been running for nearly 200 years. It commences with the incarnation of Lord Vishnu as Rama, to save humanity from demon king Ravana. The Ramilia takes place over a month every year from Anant Chaturdashi and ends on the full moon night. When: September 12–October 13, 2019. When: September 22–25, 2019 (dates to be confirmed). Where: Leh and surrounding villages. This unusual temple festival extends for 16 nights of folk rituals, and sees gods and goddesses descend from the heavens. It culminates in a procession of huge effigies of swans (some of which are more than 40 feet tall) and other mythological characters. They are offered to the temple goddess by devotees to get their wishes fulfilled. Where: Palli Bhagavathi temple, Neelamperoor, Alleppey district, Kerala. The annual two-day Abhaneri Festival is held to promote rural tourism in Rajasthan. It features cultural performances from a number of states across India, Rajasthani song and dance, puppet shows, camel cart rides, and a fairground. The events take place against the evocative backdrops of the Harshat Mata Temple and ancient Chand Baori (step well). Where: Abhaneri village, Rajasthan (on the Agra-Jaipur Road). Navaratri is a nine night festival that celebrates the Mother Goddess or Shakti in all her manifestations, including Durga, Lakshmi and Saraswati. Worship and fasting take place in the daytime, while the nights are reserved for feasting and dancing. The festival culminates with Dussehra, the victory of good over evil, on the tenth day. In Delhi, the feature of Navaratri celebrations are the Ramlila plays that take place all over the city. The festival is celebrated as Golu, with the display of dolls, in South India. In Kolkata, it's Durga Puja. When: September 29-October 7, 2019. The annual 10-day Dasara festival is the feature of Navaratri and Dussehra celebrations in Mysore, in Karnataka. The festival has royal origins and can be traced all the way back to 1610, when it was started by Wadiyar King, Raja Wadiyar I. It honors the Goddess Chamundeswari (another name for Goddess Durga) of Chamundi Hill, who killed the powerful demon Mahishasur. The royal family is still involved in celebrating it. Mysore Palace is illuminated with thousands of dazzling lights. There's an elaborate regal procession, fireworks, light shows, and even food festivals and vintage automobile shows as well. When: September 29-October 8, 2019. The Naropa Festival is dedicated to celebrating the life of Indian Scholar-Saint Naropa, who lived from 1016 to 1100 and whose teachings are considered to be the core tenets of Buddhism. The festival is considered to be the Buddhist Kumbh Mela of the Himalayas. It features some rare cultural events that are believed to grant spiritual liberation upon sight. This includes the unfurling of the largest silk embroidery of Buddha Amitabha. Its height extends for several stories and it's only displayed to the public during the festival. A holy set of ancient Buddhist relics will also be on display. Other highlights include talks and discussions, a traditional Ladakhi archery competition, fashion parade, Bollywood music concert, and local folk dance performances. Ziro Festival of Music/Nasim Ahmed. A renowned outdoor music festival in one of India's most remote and picturesque locations (think lush paddy fields and pine clad mountains), Ziro features a combination of 30 indie bands from across the world and top folk acts from across northeast India. Camping facilities are provided. Kite Manja has the happiest campsite there! Where: Ziro Valley, Arunachal Pradesh. Euge de la Peña/Getty Images. Into its seventh year, the Pune International Literary Festival is another opportunity to interact with authors in India. More than 100 acclaimed authors and creative personalities from India and abroad will speak at the festival, which also includes panel discussions, workshops and book launches. Where: Pune, about three hours from Mumbai in Maharashtra.